Packaged with two bottles, Colorverse Soul fountain pen ink comes with a 65ml glass bottle and a 15ml glass bottle. 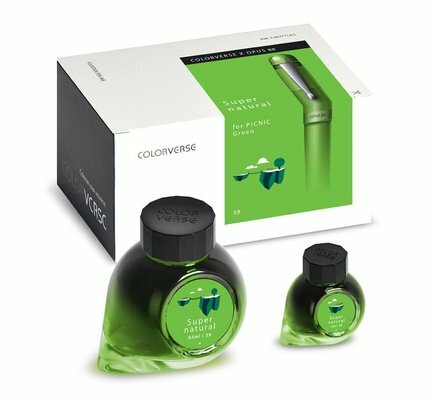 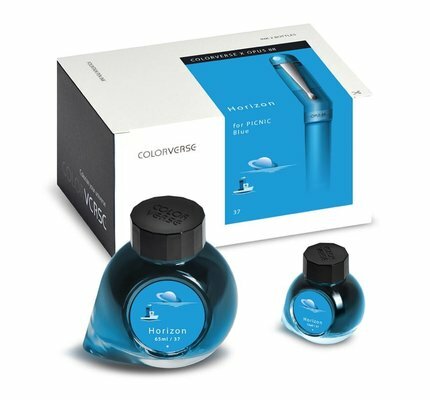 Packaged with two bottles, Colorverse Horizon fountain pen ink comes with a 65ml glass bottle and a 15ml glass bottle. Packaged with two bottles, Colorverse Laurel fountain pen ink comes with a 65ml glass bottle and a 15ml glass bottle. 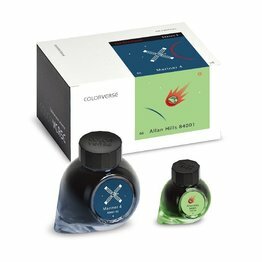 Packaged with two bottles, Colorverse Tango fountain pen ink comes with a 65ml glass bottle and a 15ml glass bottle. Packaged with two bottles, Colorverse Black Hole fountain pen ink comes with a 65ml glass bottle and a 15ml glass bottle. 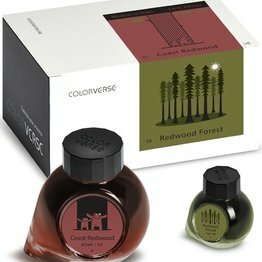 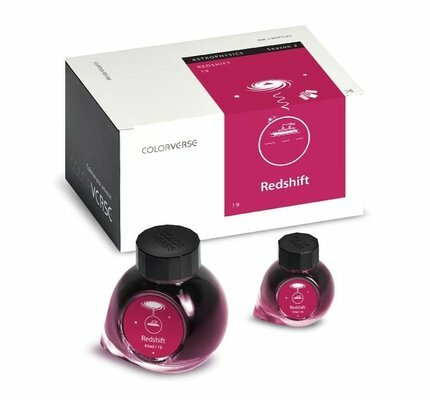 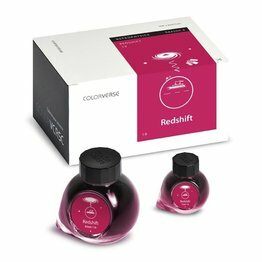 Packaged with two bottles, Colorverse Redshift fountain pen ink comes with a 65ml glass bottle and a 15ml glass bottle. 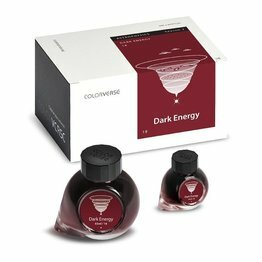 Packaged with two bottles, Colorverse Dark Energy fountain pen ink comes with a 65ml glass bottle and a 15ml glass bottle. 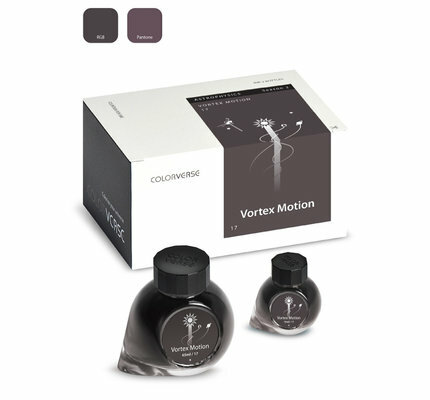 Packaged with two bottles, Colorverse Vortex Motion fountain pen ink comes with a 65ml glass bottle and a 15ml glass bottle. 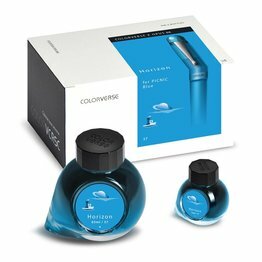 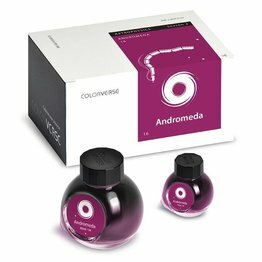 Packaged with two bottles, Colorverse Andromeda fountain pen ink comes with a 65ml glass bottle and a 15ml glass bottle. 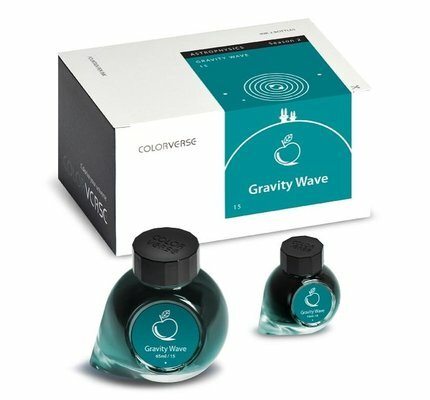 Packaged with two bottles, Colorverse Gravity Wave fountain pen ink comes with a 65ml glass bottle and a 15ml glass bottle. 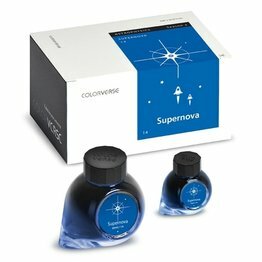 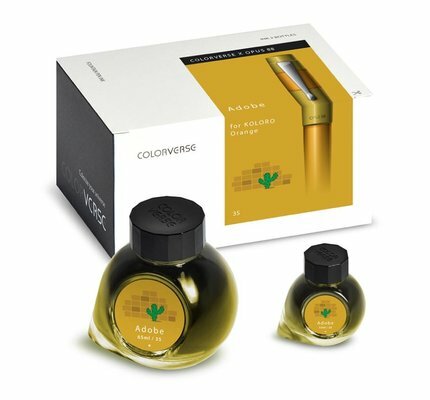 Packaged with two bottles, Colorverse Supernova fountain pen ink comes with a 65ml glass bottle and a 15ml glass bottle. Packaged with two bottles, Colorverse Quasar fountain pen ink comes with a 65ml glass bottle and a 15ml glass bottle. 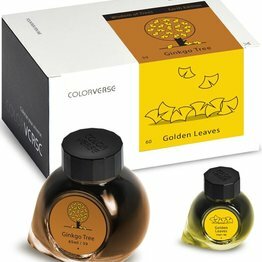 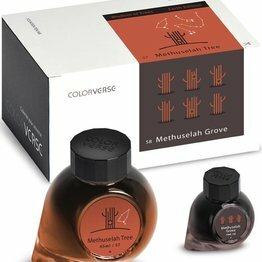 Packaged with two bottles, Colorverse Morning Star fountain pen ink comes with a 65ml glass bottle and a 15ml glass bottle. Packaged with two bottles, Colorverse Sea of Tranquillity fountain pen ink comes with a 65ml glass bottle and a 15ml glass bottle.